December | 2015 | Moynihan Insurance Agency, Inc.
Due to a mailing issue, the RMV is still renewing registrations that expire in December. If your clients‘ December renewal has been delayed, they may still be eligible to renew online (assuming that no insurance stamp is required). When a registration is renewed online, the registrant receives an email confirmation of the renewal which must be carried in the vehicle until the new registration and decal are received. The registrant will not be charged twice. ALARS will not permit the renewal check to be applied because the registration is already renewed. As a result, the check will be returned uncashed. The RMV has advised us that the majority of registration renewal applications for November and December registrations have been processed, and customers should expect to receive their Certificate of Registration and expiration decal by January 15, 2016. The RMV has asked law enforcement to recognize a grace period (through January 15, 2016) for customers falling into this category. There are also a number of incomplete applications that were submitted that are in the process of being returned to customers for completion. For example, the registration application was submitted without a check, the proper payment amount, proof of insurance, or proof of heavy vehicle use tax payment (Form 2290). Customers can check the status of their registration online by selecting: Registration Inquiry. Once Again, wishing you a very Happy New Year from Moynihan Insurance Agency, Inc.
Wishing you all a very Happy, Safe & Prosperous New Year 2015! Our offices will close at 3pm today and will be closed through Monday, January 4, 2016. HAPPY NEW YEAR! from everyone at Moynihan Insurance Agency, Inc.
Well, ..What IS? 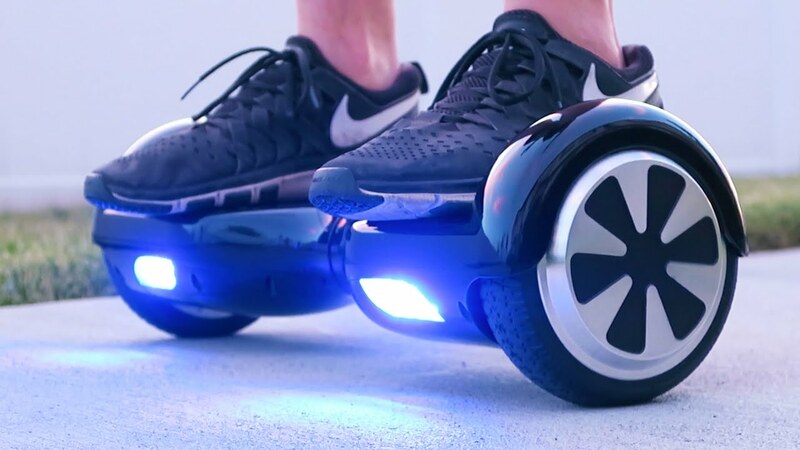 and IS NOT covered by Insurance if an Accident should occur on a Hoverboard? Well, ..What IS? and IS NOT covered by Insurance if an Accident should occur? Hope you all had a great holiday!! Our Offices will be Closed on Thursday, December 24th and Friday, December 25, 2015 to enjoy time with our friends & family. From Our Family…to Yours…Wishing you a Happy, Safe and Wonderful Holiday! Happy Holidays from everyone at Moynihan Insurance Agency, Inc.
‪Check out these Travel Tips from the Better Business Bureau. The holidays are here again, and with the price of gas lower than it’s been in years, it’s likely more people will choose to hit the road this holiday season. If you’re one of those travelers, Better Business Bureau (BBB) offers tips to help keep you safe and maybe save you some money. Prepare a budget – Planning is important. Make a little room in your budget by allowing for unexpected occurrences and emergencies. Get a tune-up – If your car is due for a tune-up, take it in before making that long haul. At the very least, check the car’s fluid levels, wipers and tire pressure. Be resourceful – Book hotel rooms in advance and consider exploring reputable money-saving sites. See if there are any good discount offers in the city you’re visiting. Take BBB with you – When you’re away from home or in the midst of an emergency, it’s hard to know which businesses – such as tow trucks and locksmiths – you can trust. The good news is that free BBB Business Reviews are optimized for smartphones. Now you can easily find businesses you can trust anytime you’re on the go by visiting bbb.org. Avoid unnecessary costs – Don’t find yourself trapped by additional charges or fees. For example, avoid hotel room phones, which often carry hefty surcharges. When you’re on the road, travel with a cooler and purchase snacks ahead of time. It’s a lot cheaper than the hotel mini-fridge. Create a car safety kit – Holiday driving often includes the threat of dangerous winter weather. Snow and ice can lead to accidents, car troubles, long delays and road closures. You can be ready for bad weather by creating your own safety kit. Basics for the kit include a blanket, flashlight with extra batteries, radio, first aid kit, jumper cables, non-perishable foods like granola bars and nuts, bottled water, an ice scraper and warm gloves. Having a cellphone charger for your car is also a good idea. Get an early start and take your time – The best way to fight holiday traffic is to give yourself some extra time to make the trip, and don’t speed. Also, if you’re caught speeding by law enforcement, that adds travel time and can put a dent in your holiday budget. Drop the distractions – A lot of tragic accidents take place when people are talking on their cellphone or sending text messages. When you’re behind the wheel, don’t text and drive. Let incoming calls go to voicemail or hand your cellphone to a passenger and let them take the call. Also, don’t make or return calls – or send or read – text messages until you reach a safe spot off the road, such as a rest area or a gas station. For the latest fraud alerts, consumer news and free BBB Business Reviews, visit bbb.org/boston or like us on Facebook. Enjoy a Safe & Happy Holiday Season!! In the face of really bad weather, it’s sometimes best to stay home, or, if you’re traveling, grab a motel room if it starts to snow. Wishing You and Your Family a Safe and Happy Holiday Season! Happy December from Moynihan Insurance Agency, Inc.!!! • Confirm your car insurance is active and premiums are up-to-date. • Select liability limits that are appropriate to your financial circumstances. People with more assets generally need to select higher limits of liability than those with fewer assets. If you are found to be at-fault in an accident and purchased insufficient limits, your personal assets are at risk for the remaining financial obligation. • If renting a car for the trip, check your policy to see if it includes coverage. Verify potential coverage limitations with your agent or company, and make sure you are not duplicating benefits from your existing auto, health or home insurance policy. • Verify your home or renters insurance covers the theft of personal items from a car, especially if you are planning to carry expensive items in your car. • Check to see if your policy includes roadside assistance. You can be covered for towing, fuel delivery, lockout service, jump-starts and more. • Maintain Visibility. If your car’s wipers leave streaks of water behind, or if the rubber on the wiper blade shows signs of stiffness or cracking, get a new set of wipers. Don’t use the wipers to remove ice from the windshield – keep an ice scraper on hand. If it’s going to snow the next day and your vehicle is parked outside, put the wipers into the raised position to keep them from freezing to the windshield. • Use the Right Oil. Engine oil will thicken when it’s cold, making it harder on the engine. Always check the owner’s manual for the manufacturer’s recommendation, but generally speaking, you should use a multi-viscosity oil that has a W as part of the viscosity index. This means it’s formulated for winter use. • Check Other Vital Fluids. This includes fluids for the engine, coolant, transmission, brakes, power steering and windshield washers. • Maintain Hoses and Belts. You can check hoses on a cool engine by pinching them. There should be no soft spots or bulging areas. Feel for lengthwise cracks in the inner liner of the hoses. Check all belts for worn spots, cracks or shredding fabric reinforcement. • Prep the Battery. For maintenance-free batteries, check the window on top to see if it’s fully charged. If it’s not, have it professionally tested. For conventional batteries, remove the plastic caps on top of the battery and check the fluid level. If it’s low, add distilled water. Make sure battery cables are securely attached to the terminals. If your battery is more than five years old, consider replacing it. • Check the Brakes. If your car pulls to one side when you brake, or if you hear any grinding noises or feel unusual vibrations when you apply the brakes, take the vehicle to a mechanic. • Make Sure You Have Appropriate Tires. Partially worn tires reduce your ability to stop or get going in snowy driving conditions. Winter tires have tread patterns and compounds that are specifically designed to grip snow and ice for good traction on slippery roads. • Pack an Emergency Kit. It should include a flashlight, flares or reflective triangle, a distress sign, first aid supplies, basic tools, blankets, water, and a fully charged cell phone. If you have roadside assistance, store the number in a handy location. Rental Insurance? Do You Have it? Do You Need It? Car rental companies typically offer the following products at the counter. Check to see if they duplicate existing coverage before purchasing. • Collision Damage Waiver (CDW) is also referred to as a Loss Damage Waiver (LDW). If you have comprehensive and collision coverage on your own car, you will likely not need this additional protection. Collision insurance covers the cost of repairs or the actual cash value of the vehicle, if damaged in a crash or rollover. • Liability Insurance covers medical expenses and damages to another person’s property as a result of a car accident caused by the insured’s negligence. If you are adequately insured on your own car, you may consider forgoing this. • Personal Accident Insurance offers coverage to the renter and passengers for medical bills resulting from a car crash. If you have adequate health insurance and disability income insurance, or are covered by personal injury protection under your own car insurance, you will likely not need this additional insurance. • Personal Effects Coverage provides for the theft of personal items inside the rental car. If you have a homeowners or renters insurance policy, it generally covers this already. If you frequently travel with expensive jewelry or sports equipment, it may be more cost-effective to purchase a floater under your home or renters insurance policies so the items are fully protected when you travel.